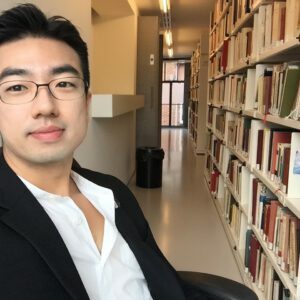 Dr Rak Kim is Assistant Professor of Global Environmental Governance in the Copernicus Institute of Sustainable Development at Utrecht University, The Netherlands. He received his PhD in 2013 from the Fenner School of Environment and Society at the Australian National University. Prior to joining Utrecht University, he was a Research Fellow at the Australian National University College of Law and the Griffith University Law School, and a Postdoctoral Fellow at the United Nations University Institute for the Advanced Study of Sustainability (UNU-IAS). Kim is an interdisciplinary scholar in the field of international environmental law and governance with a particular interest in complex adaptive systems. He explores the structural and functional dynamics of international environmental law at mesoscopic and macroscopic scales with a view to unravelling its complexity and improving its overall effectiveness in maintaining planetary integrity in the Anthropocene. He has published widely in journals such as Global Environmental Change, Yearbook of International Environmental Law, Transnational Environmental Law, Review of European, Comparative and International Environmental Law, International Journal of Marine and Coastal Law, Environmental Policy and Law, Environmental Science and Policy, International Environmental Agreements, Columbia Journal of Asian Law, and Animal Law Review, and contributed to several edited volumes published by the MIT Press, Routledge, Edward Elgar, and the IUCN. Kim is currently serving as book review editor of Transnational Environmental Law (Cambridge University Press), an associate fellow at the Centre for International Sustainable Development Law, and a member of the IUCN World Commission on Environmental Law. He is on a number of boards such as the Board of Contributors for the International Environmental Agreement Database, the Directive Board of the International Institute for Law and Complexity, and the Editorial Board of a leading environmental law journal in South Korea, Environmental Law and Policy. Kim is particularly passionate about engaging with international organizations and NGOs, and he has worked with Birds Korea, the Planetary Boundaries Initiative, the DMZ Forum, the Earth Charter Initiative, the International Seabed Authority, and the International Development Law Organization. Kim is the recipient of the inaugural Oran R. Young Prize in 2013 for his research on the emergent network structure of the multilateral environmental agreement system. Young, O., Underdal, A., Norichika, K. and Kim, R.E. 2017. Goal Setting in the Anthropocene: The Ultimate Challenge of Planetary Stewardship, in N. Kanie and F. Biermann (eds): Governing through Goals: Sustainable Development Goals as Governance Innovation (The MIT Press, Cambridge). Underdal, A. and Kim, R.E. 2017. The Sustainable Development Goals and Multilateral Agreements, in N. Kanie and F. Biermann (eds): Governing through Goals: Sustainable Development Goals as Governance Innovation (The MIT Press, Cambridge). Kim, R.E. and van Asselt, H. 2016. Global Governance: Problem-shifting in the Anthropocene and the Limits of International Law, in E. Morgera and K. Kulovesi (eds): Research Handbook on International Law and Natural Resources (Edward Elgar, Cheltenham). Liu, N. and Kim, R.E. 2016. Regulating Chinese Activities in the International Seabed Area: A Note on China’s Deep Seabed Mining Law of 2016, International Journal of Marine and Coastal Law, accepted. Kim, R.E. 2016. The Nexus between International Law and the Sustainable Development Goals. Review of European, Comparative and International Environmental Law, vol. 25, no. 1, pp. 15-26. Kim, R.E. and Ali, S. 2016. North Korea: Green Diplomacy – An Opportunity for Peace-building? Environmental Policy and Law, vol. 46, no. 1, pp. 86-96. Kim, R.E. and Bosselmann, K. 2015. Operationalizing Sustainable Development: Ecological Integrity as a Grundnorm of International Law. Review of European, Comparative and International Environmental Law, vol. 24, no. 2, pp. 194-208. Mauerhofer, V. Kim, R.E., and Stevens, C. 2015. When Implementation Works: A Comparison of Ramsar Convention Implementation in Different Continents. Environmental Science and Policy, vol. 51, pp. 95-105. Anton, D.K. and Kim, R.E. 2015. The Application of the Precautionary and Adaptive Management Approaches in the Seabed Mining Context: Trans-Tasman Resources Ltd Marine Consent Decision under New Zealand’s Exclusive Economic Zone and Continental Shelf (Environmental Effects) Act 2012, International Journal of Marine and Coastal Law, vol. 30, no. 1, pp. 175-188. Kim, R.E. 2015. Green-blind Growth: A Critical Appraisal of Environmental Governance in the Republic of Korea, in S. Mukherjee and D. Chakraborty (eds): Environmental Challenges and Governance: Diverse Perspectives from Asia (Routledge, London). Yun, S.-J. and Kim, R.E. 2015. An Overview of South Korea’s Consideration of Ethics and Justice in its Climate Policy, in D.A. Brown and P. Taylor (eds): Ethics and Climate Change: A Study of National Commitments (International Union for Conservation of Nature, Gland). Kim, R.E. 2015. Global Environmental Governance, Technology and Politics: The Anthropocene Gap (by Victor Galaz), Transnational Environmental Law, vol. 4, no. 1, pp. 202-205. Bridgewater, P., Kim, R.E., and Bosselmann, K. 2014. Ecological Integrity: A Relevant Concept for International Environmental Law in the Anthropocene? Yearbook of International Environmental Law,vol. 25, no. 1, pp 61-78. Kim, R.E. and Mackey, B. 2014. International Environmental Law as a Complex Adaptive System, International Environmental Agreements: Politics, Law and Economics, vol. 14, no. 1, pp. 5-24. Kim, R.E. 2013. The Emergent Network Structure of the Multilateral Environmental Agreement System, Global Environmental Change: Human and Policy Dimensions, vol. 23, no. 5, pp. 980-991. Kim, R.E. and Bosselmann, K. 2013. International Environmental Law in the Anthropocene: Towards a Purposive System of Multilateral Environmental Agreements, Transnational Environmental Law, vol. 2, no. 2, pp. 285-309. Kim, R.E. 2012. Is a New Multilateral Environmental Agreement on Ocean Acidification Necessary?, Review of European Community and International Environmental Law, vol. 21, no. 3, pp. 243-258. Kim, R.E. 2011. Is Ramsar Home Yet? A Critique of South Korean Laws in Light of the Continuing Coastal Wetlands Reclamation, Columbia Journal of Asian Law, vol. 24, no. 2, pp. 437-476. * Reprinted in the Korean journal, Environmental Law and Policy, 2012, vol. 8, pp. 163-211. Kim, R.E. 2010. The Principle of Sustainability: Transforming Law and Governance (by Klaus Bosselmann), Journal of Education for Sustainable Development, vol. 4, no. 2, pp. 309-312. Kim, R.E. 2008. Dog Meat in Korea: A Socio-Legal Challenge, Animal Law Review, vol. 14, no. 2, pp. 201-236. Kim, R.E. 2008. International Law and Local Normative Changes: Learning to Co-exist with Hooded Cranes in Suncheon Bay, South Korea, in K. Bosselmann, R. Engel, and P. Taylor (eds): Governance for Sustainability: Issues, Challenges, Successes (International Union for Conservation of Nature, Gland). Kim, R. 2008. The Political and Legal Context of the Saemangeum Reclamation, in N. Moores, D. Rogers, R. Kim, C. Hassell, K. Gosbell, S. Kim, and M. Park (eds): The 2006-2008 Saemangeum Shorebird Monitoring Program Report (Birds Korea, Busan). Kim, R. 2007. The SSMP and the Ramsar Convention on Wetlands, in N. Moores, D. Rogers, C. Koh, Y. Ju, R. Kim, and M. Park(eds): The 2007 Saemangeum Shorebird Monitoring Program Report (Birds Korea, Busan). Kim, R. 2007. Principles of Sustainable Development in Korean Environmental Law: Towards the Earth Charter Principles, New Zealand Postgraduate Law e-Journal, Issue 4.